You don't need to use harmful chemicals to win the war against weeds. Try these natural weed killers to combat weeds in your garden or lawn. Keep you and your garden safe from harmful chemicals by using natural ways to kill weeds. 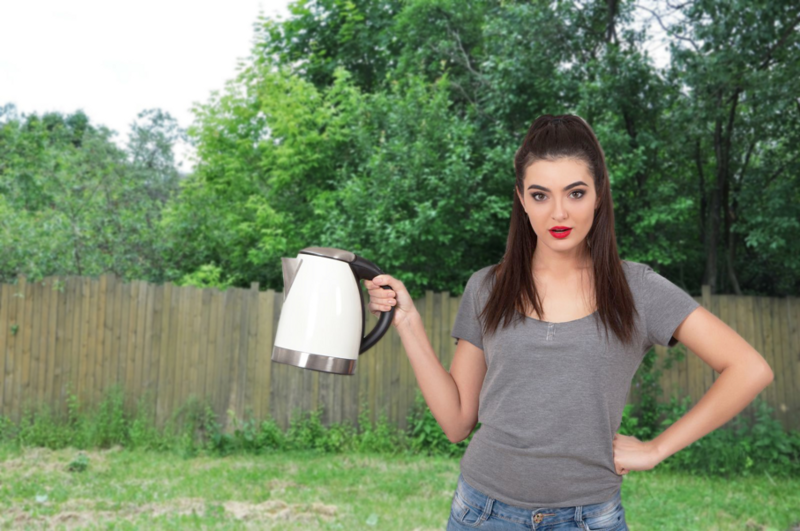 You probably already have everything you need on hand to rid your lawn or garden of even the most stubborn unwanted plants with natural weed killers. If you don’t want to use herbicides, that doesn’t mean you have to get on your hands and knees and pull weeds out manually. Here are several natural ways to rid your yard of weeds without removing them out by hand. The water you use to cook your pasta or potatoes can be poured directly on weeds to make them shrivel up within a few days. 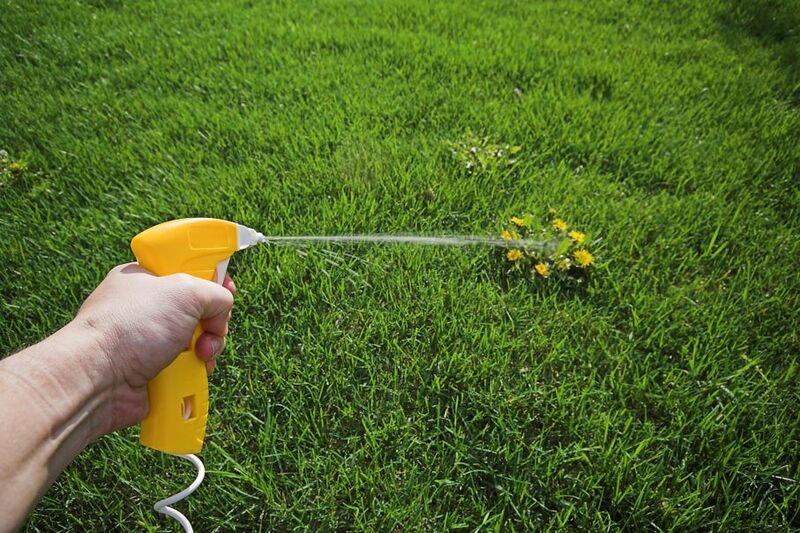 You may need to apply boiling water to bothersome weeds a few times to make sure they die and stay dead. Splashing the unwanted growths with vinegar, or even the leftover juice from a jar of pickles, will kill even with deepest weed root systems, even dandelions. Mixing this natural herbicide with a teaspoon of dish detergent will help to keep it where you spray it. A few applications may be necessary to fully remove weeds. Everyday table salt has a long history of killing any growth for good, even plants you want to keep. Salt needs to be used carefully, but sprinkling it over large areas like walkway paths is a great and natural way to keep weeds away forever. For large weed patches, mix 1 cup of salt and 1 gallon of vinegar and use a pump sprayer to direct the solution only where you need it. You may also want to tie back your healthy plants or shrubs so they’re not accidentally splashed. Salt is also known to discolor or otherwise damage concrete, so keep it away from sidewalks, driveways, and pavers. Weeds need sunlight to survive, so covering them will choke out their growth right down to the root. For low ground-covering species like clover or crabgrass, a few stacks of a newspaper will do the trick, and it’s biodegradable, too! 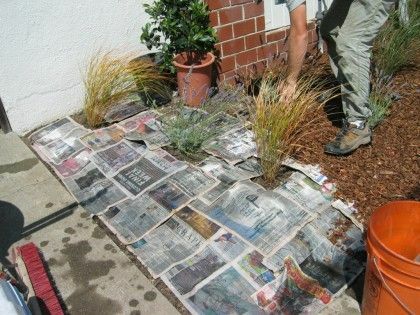 Layering newspaper under areas you’ll be mulching will keep the area clean of weeds for the whole season. It goes without saying this should be done very carefully, and if you’re in a wildfire-prone area, ask about restrictions. However, flames will kill the weed and its regrowth too. 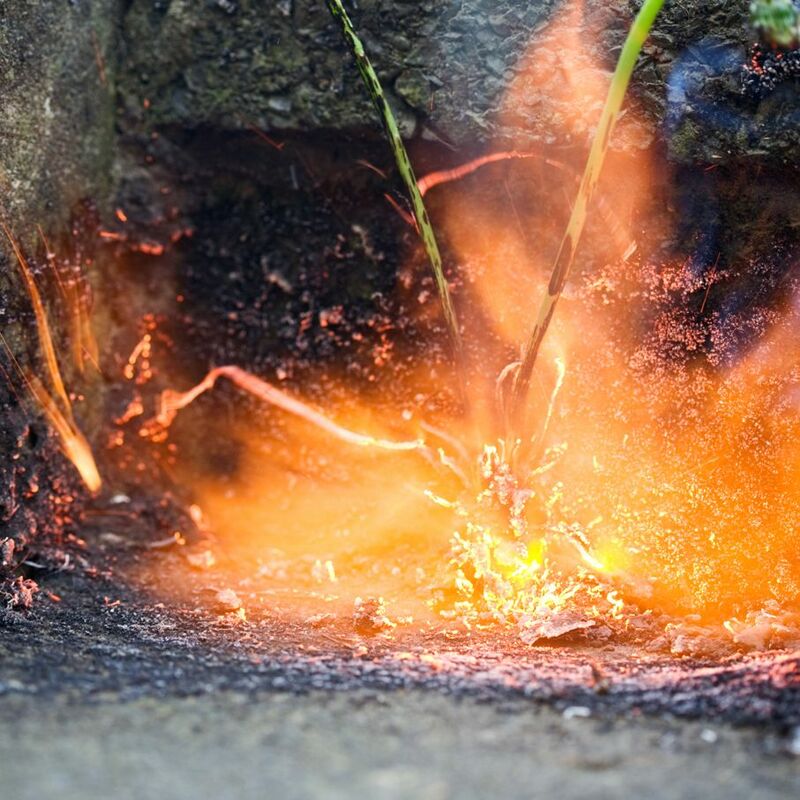 A flame-weeder tool is available at home and garden stores, and its safety precautions are spelled out so you can’t burn down the neighborhood as long as they are followed. About 10 ounces of the powder mixed in 2.5 gallons of water is all you’ll need. Spray only the weed, and there’s no need to saturate the surrounding soil. 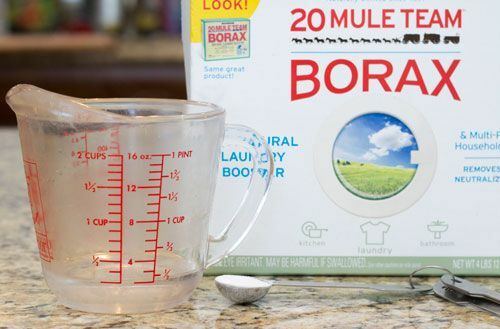 Borax dust can cause respiratory problems, and can also irritate skin and eyes, so wear protective gear if using borax, and keep kids and pets away. Organic herbicides are typically oil based with different types of citrus ingredients and corn gluten, making them non-toxic. 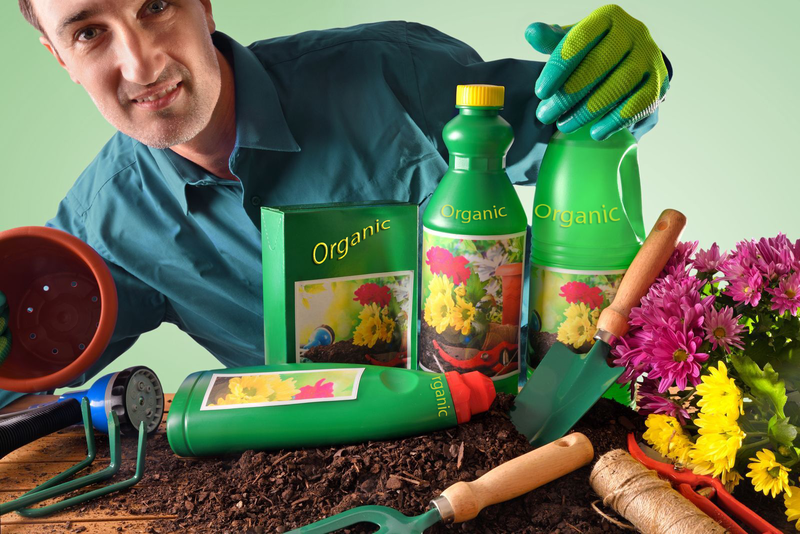 Your favorite lawn and garden store likely sells a wide variety of organic weed killers. Reviews of the sprays are somewhat mixed, and some brands of organic spray can cost more than $40. Ask the employees if they can recommend an organic spray for your situation. Before planting your vegetable garden or annuals, till the area well to eliminate all the roots of any future weeds. Cover the area with newspaper or plastic sheets, and allow any weed remnants to die off on their own. Waiting a few days before adding soil can make the area weedless naturally. Weeds have been growing from the ground since long before we began planting lawns and gardens. Their stubborn and time-tested ability to survive can make them sprout just about anywhere. Keep in mind that weeds battle with your plants for their nutrition needs. So the healthier your lawn and garden are, the less likely any weeds will show up to fight.